Dating back to 1176 (when Rhys ap Gruffydd hosted a gathering of poets at his castle in Cardigan), the modern eisteddfod owes much to the revival of the 1790s. 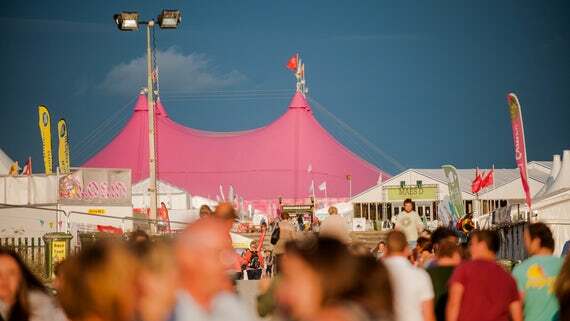 The most important eisteddfod is the National Eisteddfod of Wales (or Eisteddfod Genedlaethol Cymru), reportedly the largest music and poetry festival in Europe. It takes place once a year, and rotates between north and south Wales annually. In 2018, it visits Cardiff for the first time in a decade – and the maes (often a field, but more generally the festival site) will be spread across Cardiff Bay, incorporate a huge gathering of groups, societies, charities, and food and drink stands. 6,000 competitors and 150,000 visitors are expected to flock to the city to witness the cultural heritage of Wales – and this year, they’ll see several Cardiff alumni inducted into the Gorsedd of the Bards. There are lots of ceremonies associated with the eisteddfod. The Gorsedd of the Bards (Gorsedd y Beirdd) is an association of poets, musicians, writers and other people who have contributed to Welsh culture, and the colour of their robes denotes how. Prior to 2012, colours indicated rank – green for Ovates, blue for Bards and white for Druids. Since then, all members are referred to as Druids. Many such traditions came with the revival of the 1790s, but the ceremonies have deeper roots in Welsh history. The earliest record of a bard being awarded the chair dates to the 12th century! Someone’s confident. Gorsedd ceremonies recognise the Crowning of the Bard (for free verse poetry), the Awarding of the Prose Medal (for prose), and the Chairing of the Bard (for the best long poem in traditional form). The Archdruid and members of the Gorsedd gather in ceremonial robes to announce the winners. Entrants go by a pen name (or Bardic name), and the identity of the winner is a mystery until the trumpet fanfare leads the winner to stand up. They make their way to the stage, but before they can be crowned/medalled/seated, the Grand Sword is held aloft. The six foot blade is actually a symbol of peace, never fully unsheathed and carried by the blade rather than the hilt. The Archdruid asks three times if there is peace and with three replies that there is (‘Heddwch’), the winner is then formally unveiled as Prifardd, or Chief Bard. Unless of course the judges decide that there is no deserving winner, which has happened from time to time. Yes! There’s a real party atmosphere, with everyone wanting to celebrate and share the culture and language of Wales – with huge efforts to open up this cultural event to non-Welsh speakers in recent years. And your favourite university will be there, too.